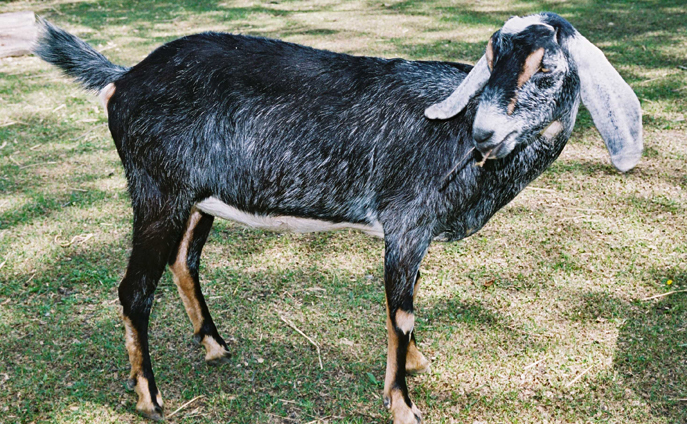 The Nubian goat is a very popular dairy goat. They were originally found in Africa and Arabia and were imported to Britain. Nubians have developed into animals that do well in areas where cows and sheep cannot survive. They are not prolific milk producers, but their milk is exceptionally rich and is used in many parts of the world in place of cow's milk. Nubians are also excellent for meat and hide production.